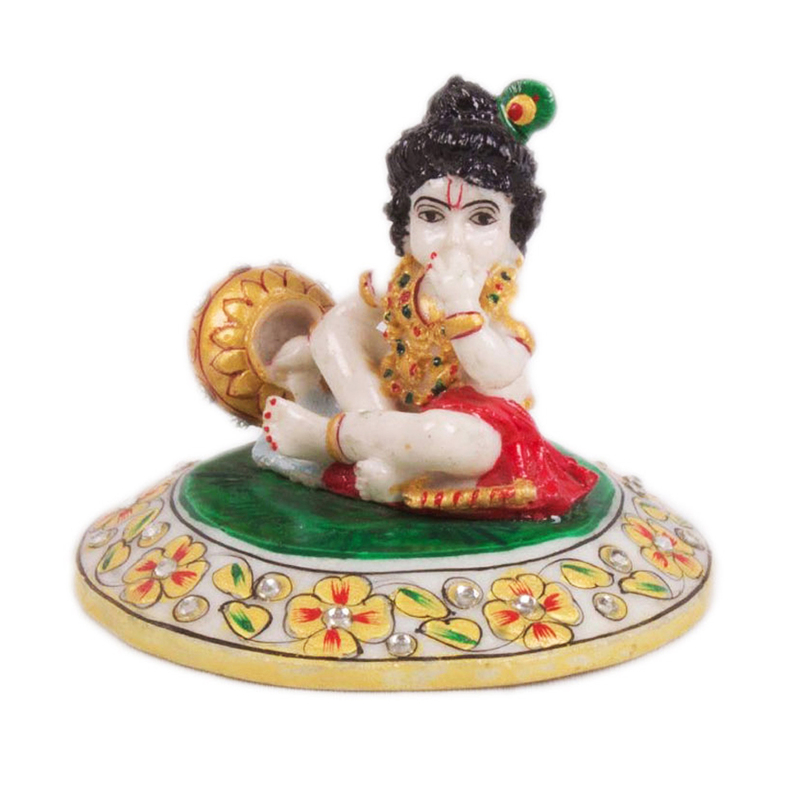 The Adorable Kanha Eating Makkhan Idol in Soft Marble is the ideal choice for all the lovers of the cute and lovable younger avatar of Read More..Lord Krishna. 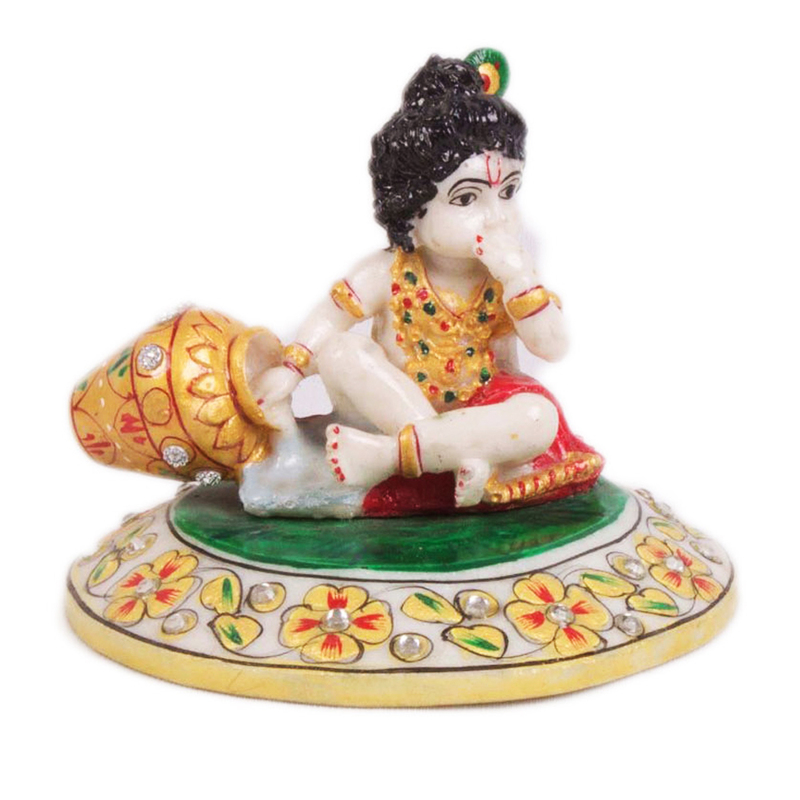 This finely carved statue is set to tug at the heartstring of all people who set their eyes upon it, while adding to the piety of the household. 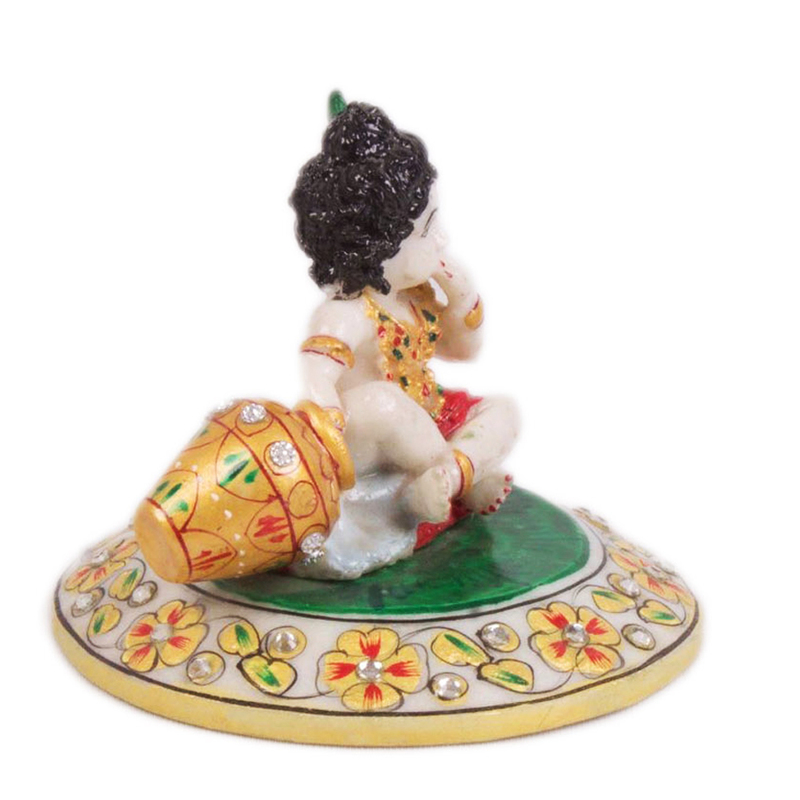 The immaculate color scheme and milky white shade of the soft marble adds fine contrast, while the evergreen image of Kanha stealing from a pot of butter is sure to light up all house interiors it graces. Show Less..